Revenge; the second in my psychological thriller trilogy By Catherine Nuza. Published by Publication Consultants 1st March 2018. What emotion is left once the heart and mind stops caring? Khedlar has an unquenchable thirst for revenge and will stop at nothing to punish those responsible for the murder of his wife and child. No one is safe in his psychopathic path, not even himself. In a warped world of madness and deceit, he makes it his mission to save his daughter's soul which pulls him deeper into the web. This unique, fast paced psychological thriller will horrify and exhilarate your senses all at once. Dawn Vines makes us question what is normality while leaving you wanting to know more. How many fragments of the puzzle were still hidden in the shadows and is Demetrious the only one who knows the untainted truth? Revenge is relentlessly gripping, with an intensely captivating story, a must read that will be impossible to put down and not for the faint hearted. I have loved writing Revenge, watching the story develop in front of me. All the intricate details from The Beginning all came together beautifully making this journey even more intense for the reader. I am currently writing the third in the trilogy; In The Shadows which shows the deeply hidden secrets of Dawn Vines underbelly. It all reaches a head when the cracks in the lies around him show through and Khedlar seeks out his wrath of pure REVENGE. Fall even deeper into his world and see how the world has changed him. There is no turning back for Khedlar and blood lust is just one way he can have his Revenge. Psychologically what is happening to Khedlar? 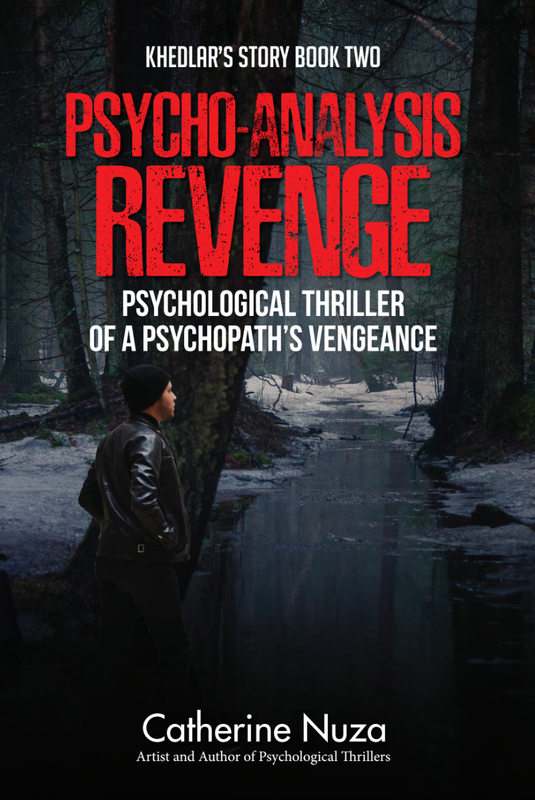 You have to read Revenge to really understand the horrific path his life has set him down. How much can one man handle? Is the real question. What would be a true breaking point? We wonder. Theses are questions which come to fruition in Revenge. A visually written novel which encapsulates a different kind of darkness that draws in readers by dragging you deeper into the darkest corners of your mind.